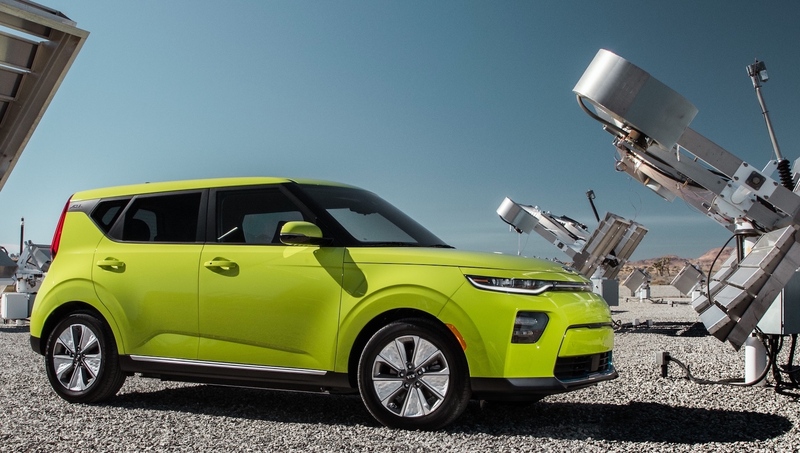 An all-new Kia Soul EV has been unveiled at the Los Angeles Auto Show with a new liquid-cooled lithium-ion polymer 64 kWh battery pack. Kia says that the new Soul EV is currently being tested to ascertain its estimated range, with the overall battery range due to be announced early in 2019. However our recent drive of the Kia e-Niro in Korea with the 64 kWh battery pack suggested a range of more than 300 miles would be possible. A Combined Charging System (CCS) DC fast-charge, fitted as standard, means rapid battery charging and therefore shorter stops. Torque is now 395 Nm, up from 285 Nm in the outgoing model, along with 204 ps. There’s also new fully-independent rear suspension. Four drive modes – Eco, Comfort, Sport and Eco+ – automatically adjust power output and also control the level of regenerative braking, air conditioning and heating settings. The Soul EV’s smart regenerative braking is operated via paddle shifters behind the steering wheel, providing drivers with the ability to slow the car and capture more kinetic energy, adding extra range. Drivers can choose from four regenerative braking levels (0 to 3). The regenerative braking system also features a ‘Brake and Hold’ system, which enables drivers to use the paddle shifters to bring the car to a full stop while harvesting kinetic energy. 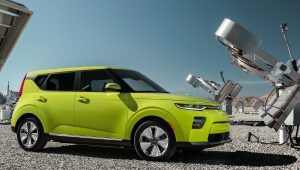 The new Soul EV goes on sale in the US and Europe in the first half of 2019, with Kia’s global markets to follow. Pricing will be announced closer to the on-sale date. Information regarding the all-New Soul EV’s price, specification and on-sale date in the UK will be distributed later in 2019.